Nearly a month has passed since I arrived back home from my journey to Tanzania, and the last mosquito bites on my arm are finally fading. My mind is still very actively processing my visit to the Kamanga Health Center, however. Maybe you read my previously published story about Peruzi’s light? Today, I would like to tell you my second story about Emanuel Mavuno. I hope you will enjoy the read and feel assured that your generous support is needed more than ever. By the way, the date for the next Cedar Gala in Zug is set. Please reserve September 13th. It would be lovely to see you at the Casino in Zug. By car, we follow Jackie and Neema, who are on their motorbikes. They are from the Community Based Rehabilitation (CBR) project. As mentioned in my first story, CBR is an outreach project, aimed at offering quality health services to those unable to reach any form of medical support. The Kamanga Health Centre runs the project, and I cannot stress how impressed I am by their work. Many people in Tanzania don’t have any means of transport, which means they have to walk for hours to reach a larger town. This becomes a very challenging task if they are not well. On top of this, traditional western medical support is only encountered with caution. Tentativeness paired with a difficult journey often leads to health problems being neglected, even when severe. Thanks to the CBR project, the ambassadors of the Kamanga Health Centre are in the field and can find people who are in desperate need. Our small convoy swirls up red dust as we make our way through the remote landscape of the outskirts of Kamanga. Now and then children spot us, wave frantically or run beside the car for as long as their short legs will carry them. Even today I can hear them chanting, “white people, white people”. It’s amazing how happy they are. During the whole journey, I never saw a child cry, let alone get into a temper. Their joy underlines the fact that possessions don’t necessarily mean happiness. We stop on a grass bank and park our car and the motorbikes. We are out in the middle of nowhere, and I can’t imagine where we are heading. The sun is beating down on my head, I feel thirsty and a first wave of travel tiredness overcomes me. But it feels good to move and use my legs, following Jackie and Neema down a little path. Well, it’s not really a path; it’s actually just some beaten down grass. It reminds me of hiking the rural hills of Church Stretton in England, close to the Welsh border. My grandparents lived there and, every summer, my brothers and I would spend loads of time exploring the hills. The grazing sheep left similar simple paths behind them. It was a great adventure to follow the short-legged animals while picking wild blueberries, and feeling the harsh Welsh wind on our faces. Lost in memories, I reach a platform with a wonderful view of Lake Victoria. Large rocks seam the outer area of a simple clay hut. But my attention is drawn to the view and the peacefulness of the area. It’s a beautiful spot, and its tranquillity distracts me from the real reason for being here. It takes me a minute to realise that we have arrived at Emanuel Mavuno’s house. Actually, I have to admit that I know we are visiting someone, of course, but I’ve somehow missed out on what I should expect. A tall man is sitting on the ground, bent over some old shoes. He carefully gets up as he sees our group. Still admiring the view, I wonder who we are visiting. The tall man has such a happy smile and a calm aura that I don’t immediately make the link between him and medical support. I admire his happiness as he slowly moves closer to our group, but then I notice that he doesn’t walk smoothly. His flip-flops are totally worn under the heel. Well, the rubber shoes don’t actually have heels anymore, just a large hole at the back. Jackie and Neema introduce Emanuel Mavuno to us. He doesn’t really give me the impression of being ill. But as I study him more closely, I realize he is missing large parts of his fingers. Only maybe 30 per cent is left from what must have been once long fingers. While I’m wondering what happened to him, Neema explains that Emanuel suffers from leprosy. Leprosy! A thousand thoughts rush through my mind. Does leprosy still exist? How does leprosy infect you? Is it safe to be so close? What about vaccinations? Did I get a vaccination? How can Emanuel be cured? After inhaling the tranquility of the place, it’s like being slapped in the face. 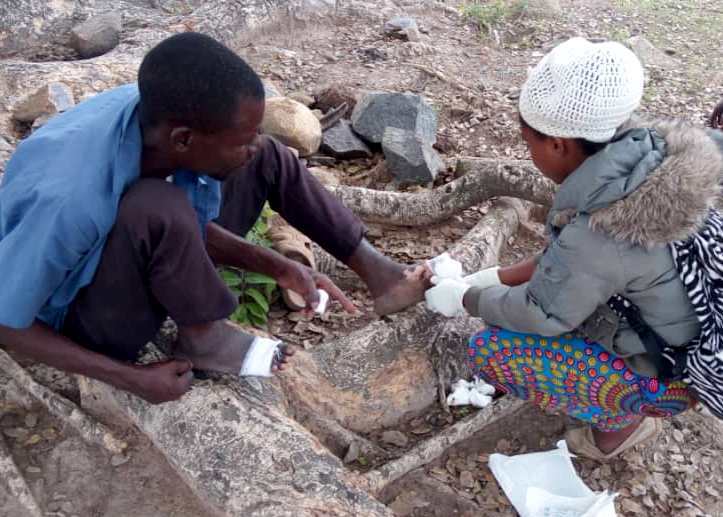 Emanuel carefully sits down on a rock and slips his feet out of the remains of his flip-flops, while Neema unpacks some medical supplies. Emanuel Mavuno is one of the many people in Tanzania who rely on water supplies from Lake Victoria. The water is used for daily nutrition, and many people also wash themselves on the shore of the lake. The growing population, industrialization and the lack of water and waste cleaning facilities have led to the poisoning of this water lifeline. Lake Victoria is ill, and is infecting the more than 30 million people from Uganda, Kenya and Tanzania who depend on its water. Emanuel Mavuno also washes himself in Lake Victoria. After he became infected with leprosy, his family left him so as not to risk becoming caught by the same destiny. Alone, he was not able to keep up with life. He lost his family, his work and his connection to the community. Before the CBR team found him, he was in great pain, hoping for the odd passer-by to show compassion and leave him some water or food. Today, the CBR team has been able to stop the infectious disease on his hands. But his feet are still a worry. Ulcers the diameter of an orange cover both his feet.The medical care has luckily been able to stop the further growth, which would have led to losing his feet, and thereby the ability to walk. Neema is holding a bottle and signals to Emanuel to lift his foot. While the clear liquid runs over the wound, the giant ulcer turns white. I can remember having pin-size ulcers in my mouth as a child. My father gave me salt to disinfect the wound. Only too well can I remember the burning in my mouth, and the salty taste running down my throat. It was a terrible feeling, and I cannot imagine how this procedure must feel for Emanuel. While his ulcers turn white, he closes his eyes as if to enjoy the sunlight on his face. Only the flinching of his eyebrows now and then reveals the pain he is experiencing. Once both feet have dried, a healing lotion is added and the wounds are covered with a bandage. Emanuel slips his feet back into his flip-flops and stands back up on his heels. I wish we could give him some new shoes – it would be so easy to do. Facing us all, Emanuel expresses his thanks to all of us for visiting and helping him. He expresses his extreme gratitude to the people in Switzerland, who support this project and thereby give him a cure and the hope of a somewhat more ordinary life. Back home, I’ve thought about Emanuel Mavuno many times. The terrible disease at such a tranquil place just seemed so surreal to me. Such a kind man with so much happiness to give. Even though his illness shocked me, he was able to give me peace of mind. 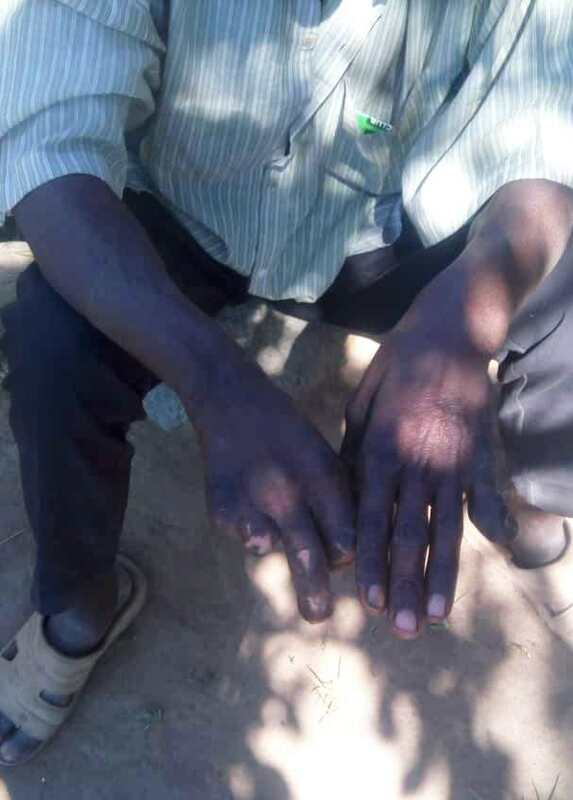 Even today, in the 21st century, leprosy is a dangerous and discriminating disease. I’m impressed by Emanuel’s capability to face this condition with so much grace. Emanuel’s situation has now improved further, and his wounds are still being regularly treated by the CBR team. The upper layers of the ulcers are slowly healing, and it appears that his feet will improve with just a little more time and care. 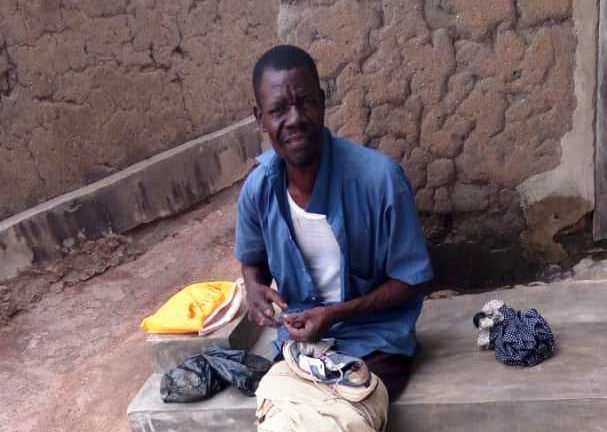 What makes me really happy is to hear that he’s making progress with his business of mending shoes and fishermen’s nets. Emanuel is becoming able to manage his life again, and this must be game-changing for such a proud man. He’s also helping some fishermen with their catch, and now and then doing some fishing himself. Lake Victoria’s water is what it is, and I pray that he will be all right. Maybe one day the remediation of Lake Victoria will also be a topic – I would love that moment. Today, I’m just happy that we can celebrate this step of healing and enabling Emanuel Mavuno. The Cedar Foundation Tanzania and you, its donors, can be proud. This change matters, and no action is too small! Can you also see Emanuel Mavuno standing by his clay hut, gazing into the distance, feeling the sun and a soft wind touch his cheeks? He is now able to walk towards his own future. My name is Chris Tucker and I’m a 29 year old, based in the South East of England. I currently live in a small town called Maidstone, which is about an hour drive from London. I work for the National Health Service in a Creative and Digital role, working on websites and apps based around helping the public find the effective solution to help improve their own health or those they are caring for. I had started using an online skill match-up platform called Pimp My Cause and in February 2016 I responded to a request for design support from Cedar Tanzania. I was keen to get involved in some new design projects and the prospect of supporting an organisation providing such value to the people it was working with was really appealing. Since then I have worked on various projects for Cedar including logo design, flyers and signage. A significant collaboration came with the production of a number of design materials for the Kamanga Health Centre, which was a really exciting task to be involved with. I take great joy in the idea that the projects I’ve been involved with can be of benefit to Cedar, thousands of miles away - this makes the world feel a little smaller in my head! It can be hard to quantify the impact of design and branding so if at the very least by giving my time I’ve helped to make some of the staff’s lives a bit easier that’s only a good thing! I would recommend someone who was considering volunteering remotely for Cedar to go ahead and do so. The team are a pleasure to work with and clear when proposing ideas, which is always useful when working remotely. From my own perspective, I’ve been able to challenge myself and develop my skills as part of the process so it’s great that both sides can benefit from the collaboration. 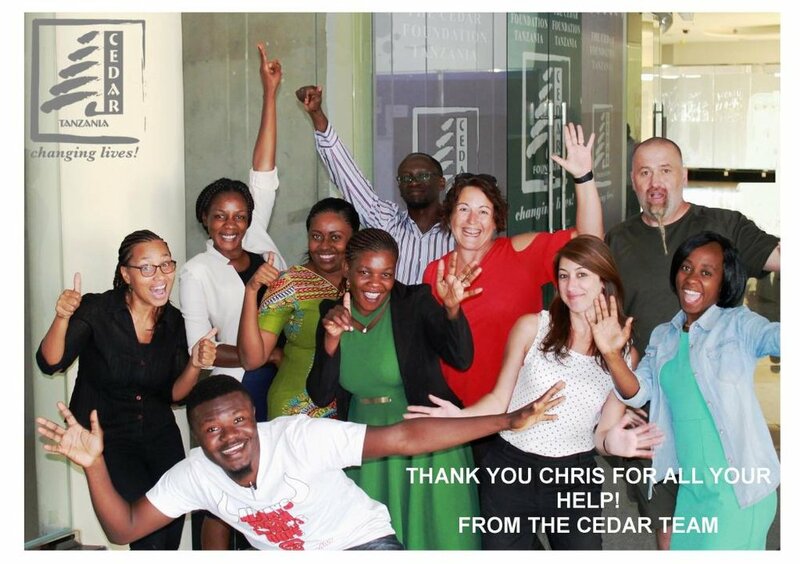 The Cedar Tanzania team say thank you to their virtual volunteer and graphic designer Chris! There has been a significant increase in the number of patients attending KHC over the past few months! In February we had a total of 932 outpatient department attendances and 107 admissions, a huge increase on the numbers from last year. The most common conditions treated at KHC were pneumonia, gastroenteritis and typhoid. The RCH (reproductive and child health) department has also seen an increase in patient numbers, particularly at the bustling under 5’s clinic. 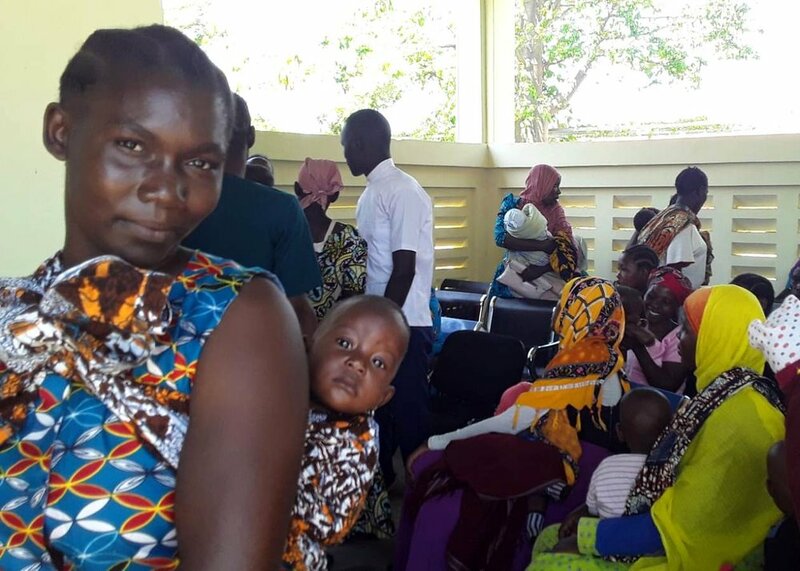 Here the children are weighed, vaccinated, and given essential medicines like mebedazole (which kills intestinal worms) and vitamin A (which prevents eye disease). Whilst the mothers are waiting we provide them with education on topics such as nutrition, breastfeeding, and vaccinations. In February alone we saw 519 children at the under 5’s clinic. It’s wonderful to see so many children receiving crucial vaccinations to keep them safe, even if they do make quite a racket! To cope with the increasing patient demand, we have employed 12 new volunteer staff members. They have settled into the team wonderfully and, alongside the other staff, are working hard to cope with increasing patient numbers. Since we have started admitting patients all of the staff have had to adapt to working in the inpatient setting- this has involved many new procedures and protocols which ensure patients are closely monitored and receive the necessary medication during their stay. This has required a huge amount of work over the last few months, but we have managed to create a system which is working smoothly! 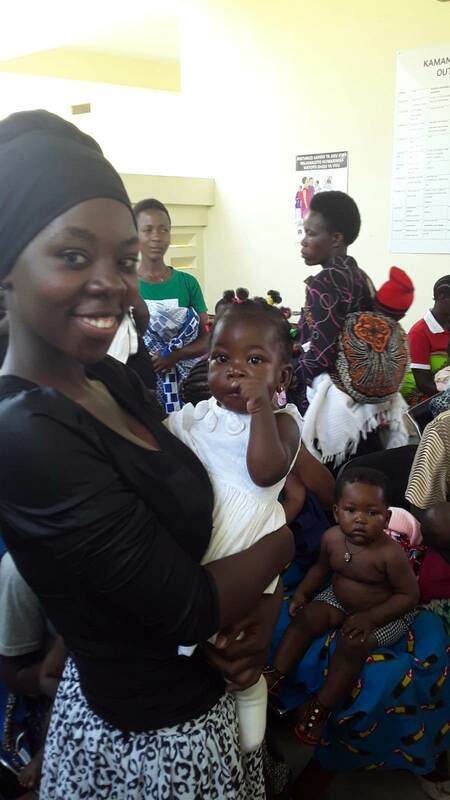 Kamanga Health Centre celebrated its 1 year anniversary on the 18th of January! To celebrate the big day, all the staff gathered for a post-work feast. 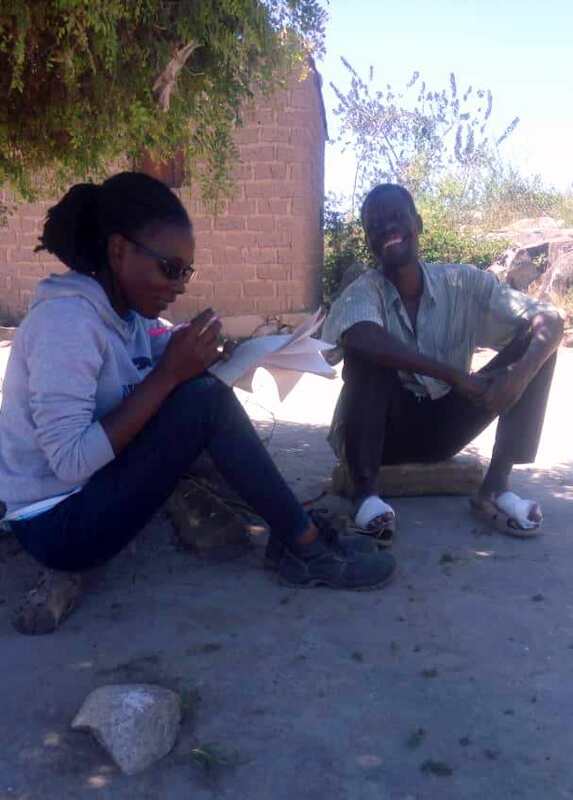 Awards for the best staff of 2018 were given to Neema , our clinical officer, and Mussa, head of maintenance – both very well deserved! A fun evening was had – eating, drinking, and celebrating our achievements over the last year. Excited to see what year 2 has in store. 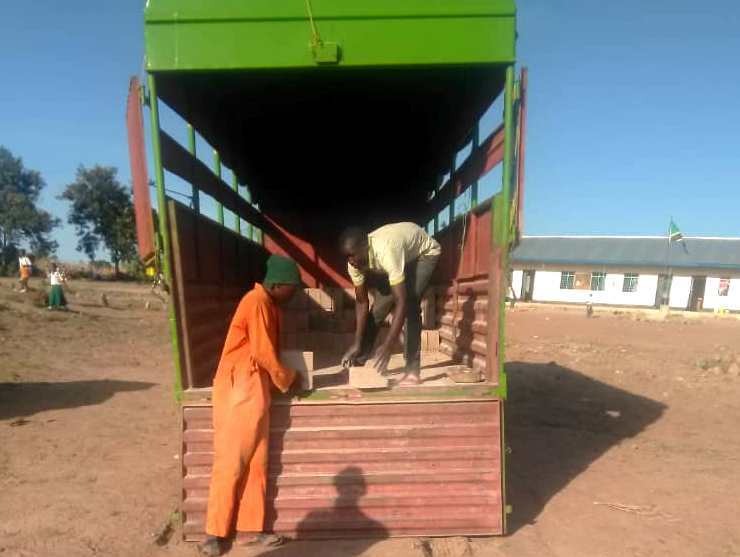 On March 1st, 1,500 bricks were delivered to Mtakuja Primary School of Kamanga. These bricks were donated by Cedar Tanzania in an effort to help the community complete the construction of the school. Mtakuja Primary School was opened in January of 2019, which allowed the nearly 900 students of the other primary school located in Kamanga, Kamanga Primary School, to attend their school full time, instead of splitting classroom time with the students of Mtakuja. However, the 800 plus students of Mtakuja are still forced to split time in the classroom, because as of today, there are only five completed classrooms to accommodate the seven primary classes, as well as the kindergarten. The community has been struggling to construct Mtakuja Primary School since 2014, because although it is a government school, nearly all the funding has come from donations by the community at large or individual community members. With the sixth classroom of Mtakuja nearing completion, the donated bricks will allow the community to start the construction of the seventh classroom. The primary school will continue to be a work in progress, but these 1,500 bricks will help the community and school get one step closer to their goal of a complete eight classroom school. A school, which once completed, will give more than 800 students aged 5 to 12 the opportunity to attend for the whole day, every day of the week.